In order to begin to understand the complex and diverse forces that shape the order Primates my colleagues and I have employed ideas and tools from genetics, endocrinology, anatomy, behavior and ecology. We have attempted to link these disciplines in understanding the life history of vervet monkeys. Vervet monkeys are a widely distributed Old World primate. They live in a broad range of habitats, exhibiting a range of environmental stresses, throughout sub-Saharan Africa. Our intention is that studies like ours will help elucidate the broad evolutionary questions of the ways in which ecology influences behavior, physiology and anatomy, social interactions influence genetics, genetics influences social interactions and the events of an individual life link to evolutionary processes. My current work is in South Africa. From my work on vervets, I became aware of the need to understand the complex relationship between non-human primates and humans. This understanding is crucial to the conservation and survival of many primate species. My general interest in biological anthropology and ethics grew out of an interest in the relationship between the study of human and non-human primate diversity and ethics. A link to the book I edited on the topic can be found on my research web page. I have also been devoted to the issue of training women in science. I have examined the anthropology as an example of the training of women for scientific careers through the Committee on the Status of Women in Anthropology and the American Association of Physical Anthropology. 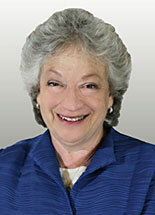 Secretary of the University, University of Wisconsin-Milwaukee, 2008 – present. Turner, T. R., Cramer, J. D., Nisbett, A., & (2016, April (2nd Quarter/Spring)). A comparison of adult body size between captive and wild vervet monkeys (Chlorocebus aethiops sabaeus) on the island of St. Kitts. Gray, J. P. (Ed.). Primates, 57(2), 211-220. Anton, S., Taboada, H., Middleton, E., Rainwater, C., Taylor, A., Turner, T. R., Turnquist, J., & Weinstein, K. (2016). Morphological variation in Homo erectus and the origins of developmental plasticity. Philosophical Transactions Royal Society B, 371. Jasinska, A., Schmitt, C., Service, S., Cantor, R., Dewar, K., Jentsch, J., Kaplan, J., Turner, T. R., Warren, W., Weinstock, G., Woods, R., & Nelson, F. (2014, January (1st Quarter/Winter)). Systems Biology of the Vervet Monkey. Institute of Laboratory Animal Research ILAR, 54(2). Anapol, F., Turner, T. R., Mott, C. S., & Jolly, C. J. (2005, March). Comparative postcranial body shape and locomotion in Chlorocebus aethiops and Cercopithecus mitis. American Journal of Physical Anthropology, 127(2), 231-239.